I'm With Her debut album See You Around out Feb 16th! 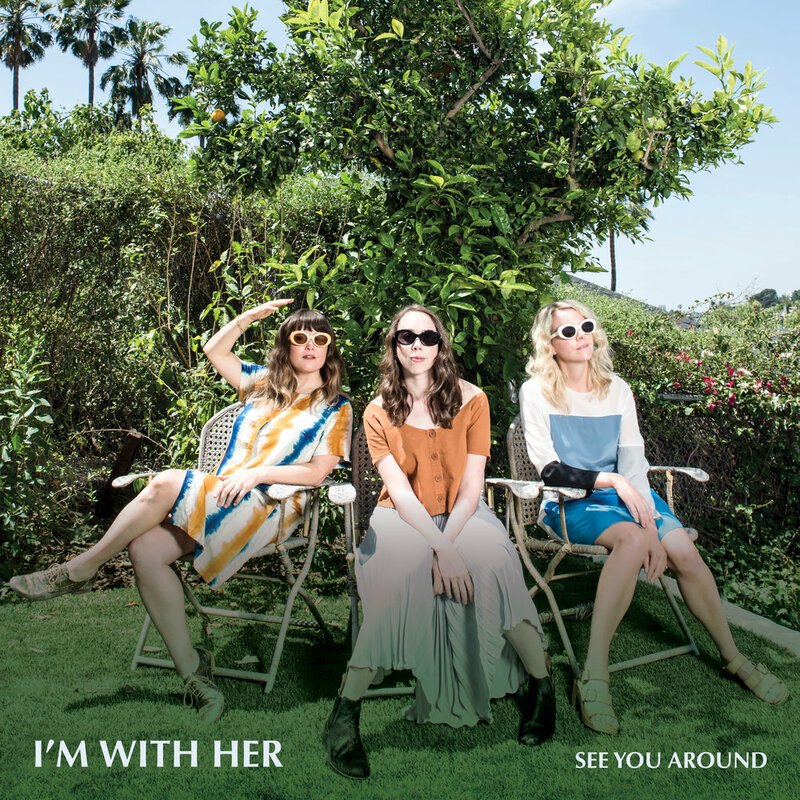 I'm With Her's first full length album See You Around is due out February 16th!! Below you'll find links to pre-order the album on all platforms and you can also stream the title track! We also just announced a worldwide album release tour, which will go on sale next week. Head over to ImWithHerBand.com for dates, links, and details! "Green Lights" video released + Fall Tour starting soon! I really enjoyed working with Sasha Arutyunova and Jacob Blumberg on my last video for House of Mercy, so this past March, we teamed up again on a beautiful Spring day in Brooklyn to make this video for Green Lights while I was home for a couple of days in between touring. We wandered all around Prospect Park, soaked in the sun, walked among the reeds, and holed up in a studio for the special effects. Artist Alix Pentecost-Farren compiled hundreds of her stunning watercolors which were spliced together to create the animations that you see throughout the video. It captures the brightness behind the lyrics — the ability to be curious for what lies beyond our world, thankful for what we have, and hopeful for what’s to come. THRILLED to announce the American Acoustic US Tour! I'm With Her will be joining Punch Brothers and Julian Lage for a collaborative tour inspired by our Kennedy Center show last summer. More info below! WOW!!! I'm beyond humbled and honored to have won my first TWO GRAMMY Awards yesterday for Best Folk Album and Best American Roots Performance! Lifelong dream come true. Endless thanks to ALL of you who have written sweet notes of congrats. I'm overwhelmed with kindness and so thankful for everyone who helped make this possible! WOOOOO! Peppered with dark and cutting lyrics directed at an unwelcome visitor, Sarah Jarosz's song "House of Mercy" might suggest otherwise, but the tune she co-wrote with friend Jedd Hughes for her new LP Undercurrent actually has its origins in a place of worship.